When lightbulbs are switched on, darkness is pushed away. 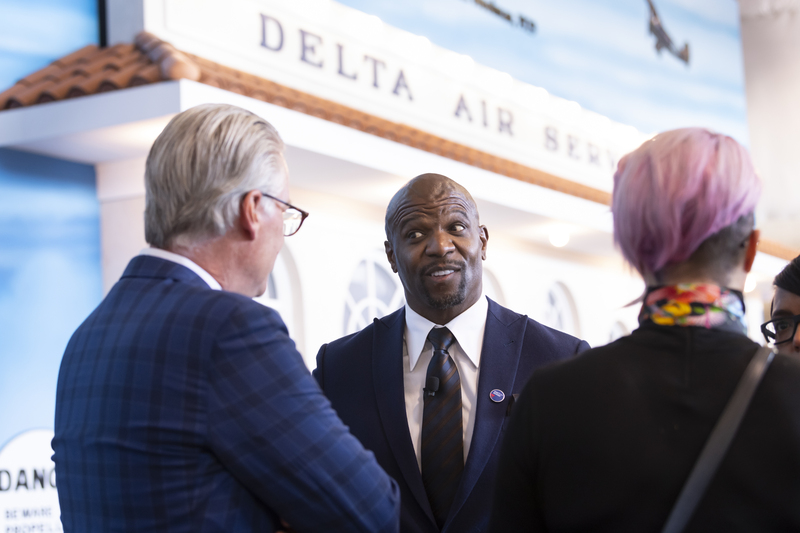 On Friday, more than 800 Delta employees rallied against human trafficking with CEO Ed Bastian, celebrity activist Terry Crews; Atlanta Mayor Keisha Lance Bottoms; Bradley Myles, CEO of Polaris; and Megan Lundstrom, trafficking survivor and founder of Free Our Girls. 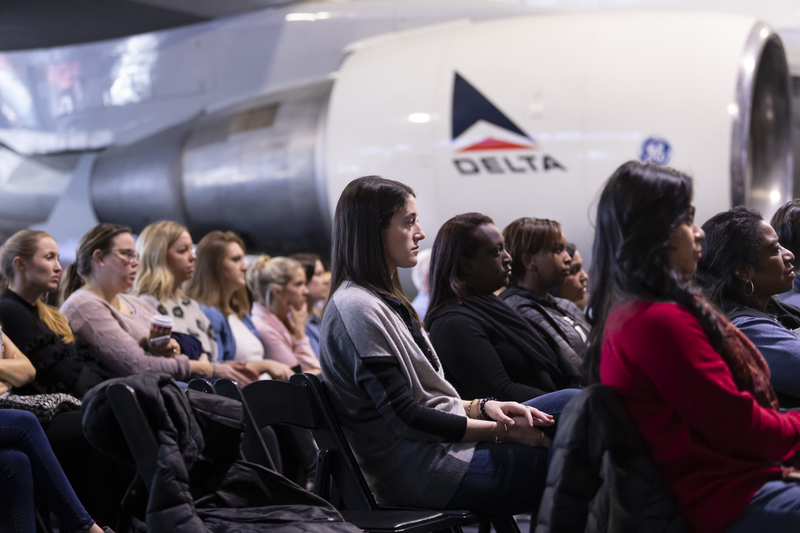 Held on Human Trafficking Awareness Day, the event at the Delta Flight Museum brought Delta people to the heart of the issue, giving first-person perspectives of both the problem and impact, and provided strategies to join the fight. Delta also revealed its new in-flight video that raises awareness of the crime, which can now be viewed on all Delta flights with seatback screens. Additionally, employees had the chance to see Sky magazine features and airport awareness signs Delta is rolling out in major hubs as part of the campaign.”Our mission is to bring the world together, to make the world a better place and to connect people. How we are doing that is by bringing humanity back to flying. And I can’t think of a more important role of humanity than to save those who are in harm’s way,” Bastian said. The conversation allowed employees to connect the roots of trafficking to hidden cultural norms that can subtly contribute to exploitation when people are not willing to speak up, become an advocate, and use their influence to help. In addition to the employees who attended in person, more than 1,700 Delta people worldwide tuned in to a live feed. “While Delta is leading the fight with 56,000 trained, we’re aiming for all 80,000 to take our industry-level training in advance of the Super Bowl. That’s an opportunity for 24,000 more employees to #GetOnBoard and take our fight to the next level,” said Allison Ausband, Senior Vice President – In-Flight Service. Free Our Girls founder Megan Lundstrom, a survivor,​ speaks to the audience. Actor and activist Terry Crews speaks with Ed. More than 800 people attended the event in Atlanta.